Which came first, the ballad or the romance? Many famous tales exist in both early folk ballads and in written medieval romances. Scholars for more than a century have debated the nature of the literary dependence - did the ballads inspire the romances, or vice versa, or do they both depend on something else? 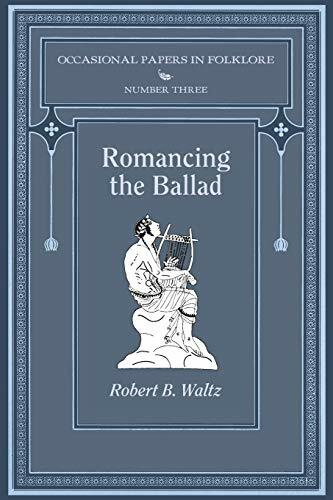 By applying the techniques of literary and textual criticism to the legend of Orpheus and Euridice, as told in the romance "Sir Orfeo" and the ballad "King Orfeo," author Robert Waltz gives reasons why the romance almost certainly came first - and shows how this gives us new insight into the entire history of English balladry.